Since the school’s founding in 1911, the Arts have held a special place at Ojai Valley School. Founder Edward Yeomans envisioned a school where students could pursue artistic expression alongside traditional studies in mathematics, science, and history. That tradition continues today. In the Elementary Division, students take classes in music, fine art, and woodshop. They learn about the great artists and musicians from the past. They also learn to play recorders, sing in the Elementary Chorus, craft projects in the woodshop, and develop their talents in drawing, painting and ceramics. Students participate in various stage productions, music recitals, and concerts in our 480-seat Greenberg Activities Center. The Fine Arts program seeks to give students a well-balanced education in various art disciplines. We offer an introduction to basic skills in the primary grades, and progressively build on that foundation through elementary and middle school. For students in grades 1-8, the curriculum follows the California State Standards for arts education. 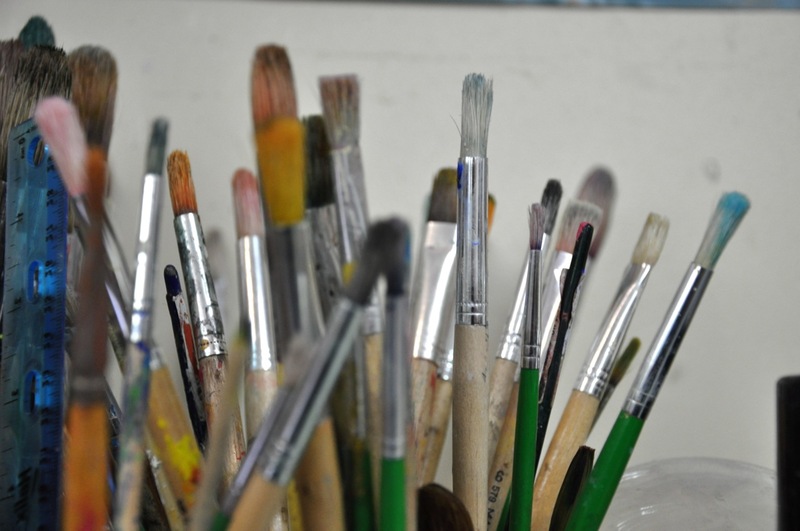 Throughout the year students are given the opportunity to explore various mediums, including printmaking, drawing, oil pastel, charcoal, pen and ink, painting, ceramics, watercolor, and paper mache. These traditional mediums are accompanied by a growing number of opportunities in the digital art mediums, including digital photography, mixed media, and online research. Students visit the art room once a week for 40-minute classes in which they are introduced to new concepts, artwork, and artists. They have the opportunity to create their own art work, and are given the chance to observe and reflect on the art work of fellow students, fine artists, and themselves. The art room has been recently updated with a new iMac, digital projector, and digital drawing pad. These exciting additions will be used to explore examples of art throughout history and culture. The art room is a place where students grow, flourish, and develop their own understandings of the world around them through the eyes of an artist. Each student is encouraged to explore his or her own artistic process using various techniques, while working in classroom community that emphasizes positive support for each other. Woodshop is part of the fine arts program and has been for more than a century. Founder Edward Yeomans believed students should learn to measure, build, and craft projects with their hands. Primary and elementary woodshop classes emphasize construction of handcrafted wood projects that are both practical and satisfying. Decorating completed projects encourages genuine individuality using design transfer techniques from paper to wood. Wood stains, water colors, and colored pencils are used to decorate areas that may include the use of sand-blasted relief patterns etched into the wood surface. Practical skills include design work, assembly techniques, use of glue and nails, and wood finishing strategies. Creating projects that are fun to build and are individually decorated keeps the students’ interest throughout the completion of the required tasks. Patience and personal satisfaction from a job well done is encouraged. Our youngest craftsmen begin with scrap wood projects and benefit from working on these projects over time. Projects include nailing and sanding practice. Efforts are made to develop eye-to-hand coordination and the concentration of effort and focus on assigned tasks. As students move into the elementary grades, students will continue to sand and shape forms to create projects that develop skills of shaping the wood with contoured edges, both concave and convex. They progress to projects that require greater skill in design, shaping, nailing, sanding, staining, and gluing. Theme projects that fly, float, or roll keeps excitement high for our younger elementary students. Older students begin their projects with the design process of thumbnail sketching and full scale renderings. Projects include model catapults, animated shapes, pencil boxes, and bird houses. Depending on the readiness level of individual students, special projects may be approved by the instructor. The goal of the Performing Arts program is to develop a positive and enthusiastic atmosphere in which students can explore musical genres, engage in activities designed to improve listening skills, and to gain confidence and self-esteem while developing their own creativity. Students are encouraged to sing, dance, and act, as well as to be sensitive to pitch, rhythm, and space. The evaluation criteria for the performing arts include participation, attentiveness, proficiency of performance, and general attitude. Music classes are offered at the primary and elementary grade levels, and all third and fourth graders are introduced to the joys of playing the recorder. Ethnomusicology is also part of the program. From New Zealand Maoris to local Chumash, OVS students explore musical traditions from all around the globe and discover a multicultural sphere of music. The Barbara Smith Grant, generously funded by an OVS alumna, brings exciting world music performances to campus each year. Performance opportunities abound at OVS. Students join ensembles, including the OVS Orchestra, Middle and Elementary Choruses, Garage Band, String Ensemble, and Old Time Band. Rehearsal times are built into the weekly schedule and many participants also take individual lessons to sharpen their playing skills. Students have the opportunity to showcase their talents at evening recitals held throughout the year. 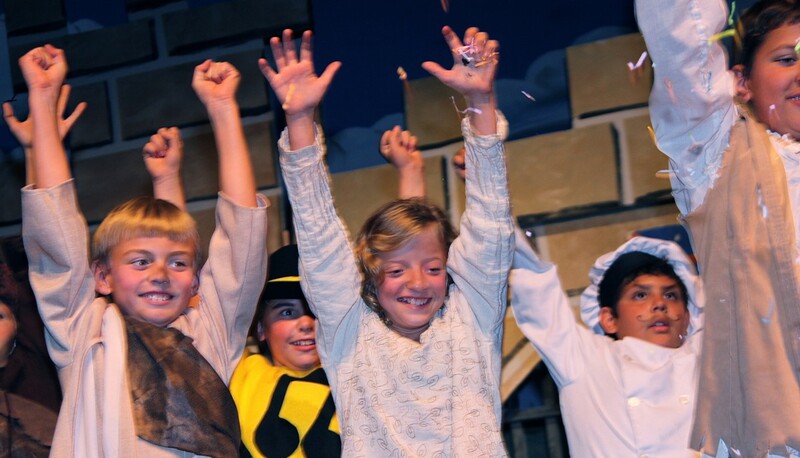 The Elementary Play is an annual fall event that involves all of the elementary and primary classes, culminating in a huge production during Parent Weekend. Students participate in Campus Lighting, a musical extravaganza held before winter break.